Lascaux Cave is a rock shelter in the Dordogne Valley of France with fabulous cave paintings, painted between 15,000 and 17,000 years ago. Although it is no longer open to the public, a victim of too much tourism and the encroachment of dangerous bacteria, Lascaux has been recreated, online and in replica format, so that visitors may still see the amazing paintings of the Upper Paleolithic artists. During the early fall of 1940, four teenage boys were exploring the hills above the Vézère River near the town of Montignac in the Dordogne Valley of south-central France when they stumbled on an amazing archaeological discovery. A large pine tree had fallen from the hill years before and left a hole; the intrepid group slipped into the hole and fell into what is now called the Hall of the Bulls, a 20 by 5 meter (66 x 16 foot) tall fresco of cattle and deer and aurochs and horses, painted in masterful strokes and gorgeous colors some 15,000-17,000 years ago. Lascaux Cave is one of the world's great treasures. Exploration of its vast interior revealed about six hundred paintings and almost 1,500 engravings. The subject matter of the cave paintings and engravings reflect the climate of the time of their painting. Unlike older caves which contain mammoths and wooly rhinoceros, the paintings in Lascaux are birds and bison and deer and aurochs and horses, all from the warming Interstadial period. The cave also features hundreds of "signs", quadrilateral shapes and dots and other patterns we'll surely never decipher. Colors in the cave are blacks and yellows, reds and whites, and were produced from charcoal and manganese and ocher and iron oxides, which were probably recovered locally and do not appear to have been heated prior to their use. Since the discovery, modern archaeologists and artists have grappled with finding some way to capture the life, the art, the environment of the amazing site. The first copies were made in October 1940, in the midst of World War II, after French archaeologist Henri Breuil entered the cave and began scientific studies. Breuil arranged for photography by Fernand Windels and drawings of the images were begun shortly thereafter by Maurice Thaon. Windell's images were published in 1950. The site became open to the public in 1948, and in 1949, excavations took place led by Breuil, Severin Blanc, and Denis Peyrony. After Breuil retired, André Glory conducted excavations between 1952-1963. By then the government recognized that CO2 levels had begun to rise in the cave from the number of visitors. An air regeneration system was required, and Glory had to excavate the floor of the cave: he found the first sandstone lamp in that manner. However, because of ongoing preservation issues caused by the numbers of tourists, the cave was closed to the public in 1963. Between 1988 and 1999, new research led by Norbert Aujoulat studied the sequence of the paintings and researched pigments beds. Aujolat focused on the seasonality of the images and commented on how the mechanical, practical and morphological properties of the walls affected the adaptation of techniques of painting and engraving. In order to share Lascaux with the world, the French government built a replica of the cave, called Lascaux II, in a concrete blockhouse in an abandoned quarry near the cave, constructed of galvanized fine wire mesh and 550 tons of modeled concrete. Two parts of the original cave, the "hall of the Bulls" and the "Axial Gallery" were reconstructed for Lascaux II. The basis of the replica was constructed using stereophotogrammetry and hand tracing down to the nearest millimeter. Working from projections of the slides and with relief photographs, copy artist Monique Peytral, labored for five years, using the same natural pigments, to recreate the famous cave paintings. Lascaux II was opened to the public in 1983. In 1993, Jean-Francois Tournepiche at Bourdeaux's Musee d'Aquitaine created a partial replica of the cave in the form of a frieze that could be dismantled for exhibition elsewhere. A virtual reality version was begun in 1991 by the American electronic artist and academic Benjamin Britton. Britton used measurements, plans, and photographs from the original cave and a vast array of graphics tools, some he invented, to create a precise 3D-computer model of the cave. Then he used graphic software to encode the images of the animal paintings. Completed in 1995, the exhibit premiered in Paris and Korea, and then internationally in 1996 and 1997. Visitors toured Britton's Virtual Lascaux with a computer screen and VG goggles. The current French government-funded Lascaux cave website has a version of Britton's work that viewers can experience without goggles. The original Lascaux cave, closed to visitors, continues to be plagued with fungal proliferation, and even Lascaux II is suffering from a compromising film of algae and calcite. Today there are hundreds of bacteria which have formed in the cave. Because it was air-conditioned for decades, and then treated biochemically to reduce mold, many pathogens have made a home in the cave, including the bacillus for Legionnaire's disease. It is unlikely that the cave will ever be opened to the public again. Although some critics worry about the copying function, removing the visitor from the "reality" of the cave itself, others such as art historian Margaret Cassidy suggest that such reproductions grant more authority and respect to the original by making it known to more people. Lascaux has always been a copy, a re-imagined version of a hunt or a dream of animals in the artist(s) head(s). Discussing the virtual Lascaux, Digital ethnologist Rowan Wilken cites the historian Hillel Schwartz on the effects of copying art, that is both "degenerate and regenerate." It is degenerate, says Wilken, in that copies distance us from the original and originality; but is also regenerate in that it enables a wider critical space to discuss rock art aesthetics. Bastian, Fabiola, and Claude Alabouvette. "Lights and Shadows on the Conservation of a Rock Art Cave: The Case of Lascaux Cave." International Journal of Speleology 38.55–60 (2009). Print. De la Rosa, José Maria, et al. "Structure of Melanins from the Fungi Ochroconis Lascauxensis and Ochroconis Anomala Contaminating Rock Art in the Lascaux Cave." Scientific Reports 7.1 (2017): 13441. Print. Delluc, Brigitte, and Gilles Delluc. 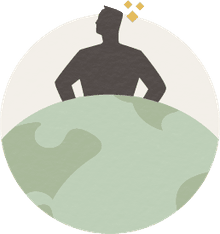 "Art Paléolithique, Saisons Et Climats." Comptes Rendus Palevol 5.1–2 (2006): 203–11. Print. Leroi-Gourhan, Arlette. "The Archaeology of Lascaux Cave." Scientific American 246.6 (1982): 104–13. Print. Vignaud, Colette, et al. 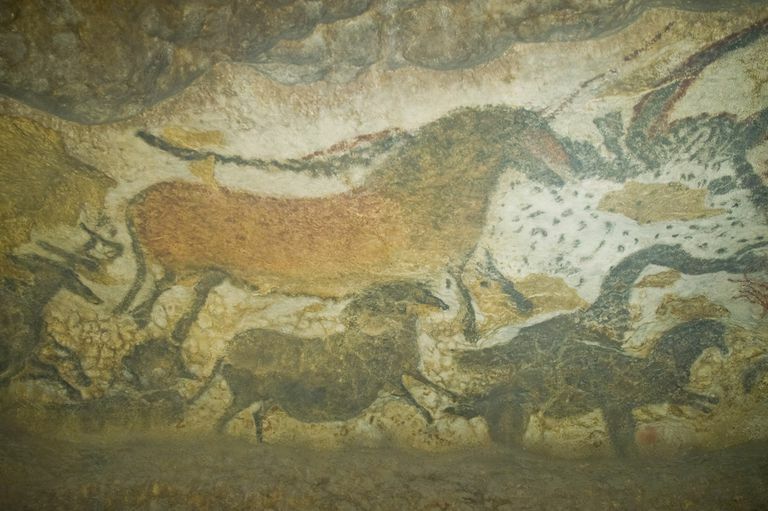 "Le Groupe Des « Bisons Adossés » De Lascaux. Étude De La Technique De L'artiste Par Analyse Des Pigments." L'Anthropologie 110.4 (2006): 482–99. Print. Wilken, Rowan. "Evolutions of Lascaux." Aesthetics and Rock Art. Eds. Heyd, Thomas and John Clegg: Ashgate, 2005. 177-89. Print. Xu, Shan, et al. "A Geophysical Tool for the Conservation of a Decorated Cave – a Case Study for the Lascaux Cave." Archaeological Prospection 22.4 (2015): 283–92. Print.